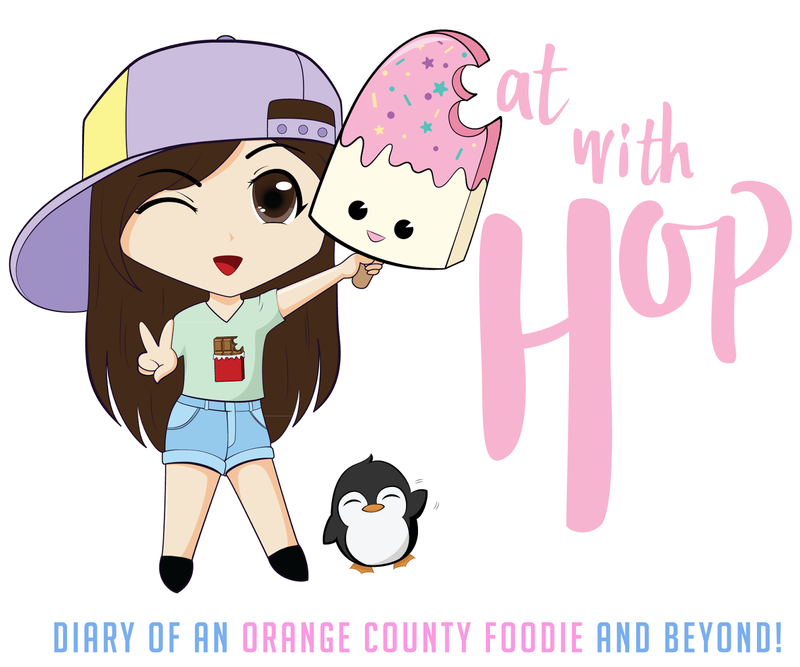 ROASTING WATER PRESENTS THE PERFECT TOURIST BOTTLES - EAT WITH HOP! Stop serving your drinks in such cute bottles! I have no more room to display my vast collection of your bottles and mugs now! Where would I put this cool new one?! 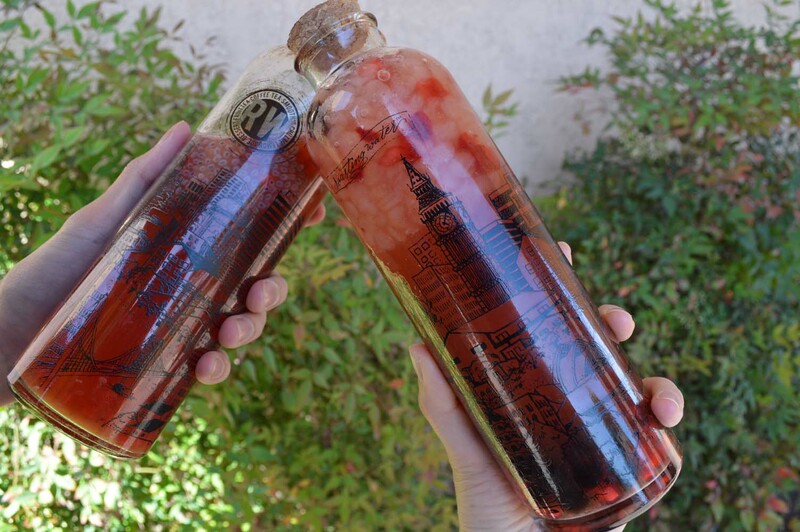 Here is a very awesome photo of the new Roasting Water bottles by Roasting Water! Who is their photographer... Because I couldn't stop staring at this photo when I saw it on my Instagram feed. Leave it to Roasting Water to once again blow my mind with a freakin` cool new bottle. This past week, they started serving all their cold drinks in this glass bottle that basically has all the typical U.S. tourist spots on it! It's got the Golden Gate Bridge from San Fran for an example and even the Statue of Liberty from New York drawn! Wow! 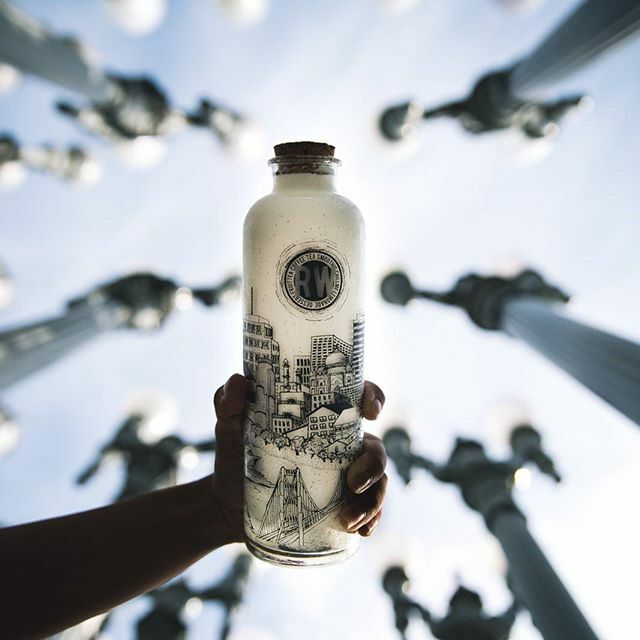 If you're a tourist and want a cool bottle, this is it! It's got all the famous spots for you to take home as a memento. And, you get a delicious boba drink (I love the pom poms here too though) with it! Other then that... TAKE MY MONEY! JUST TAKE MY MONEY! I'VE BECOME A ROASTING WATER BOTTLE HOARDER! 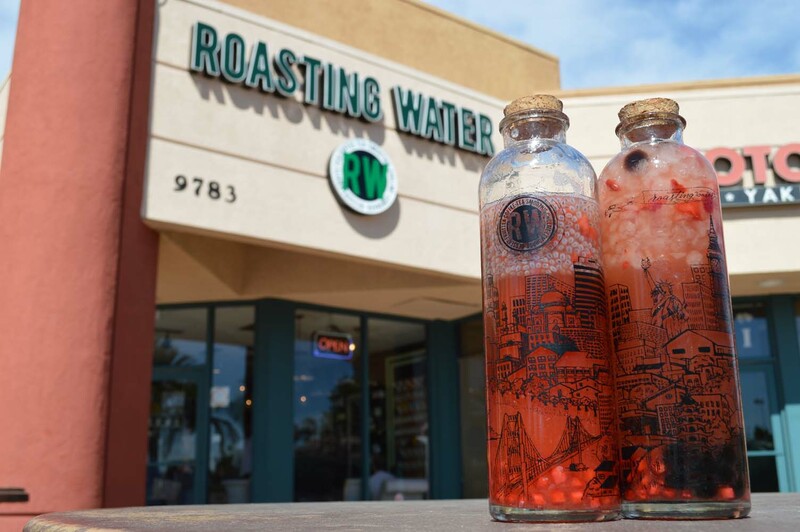 Roasting Water has 3 locations for you now. Fourth location coming soon in Long Beach! *Smallest location but cute decor! *This is my favorite location because it is the biggest and cutest! They have a checker/chess board painted on top of the tables and a library of books and games for guests to read and play with! Also, the decor is on point. Such cute chairs and tables! The latest promos are always posted on their Instagram page! They also have an online shop for catering services and to buy their cute mugs and bottles!